Many people search for the perfect health, fitness, self defense or spiritual practice. 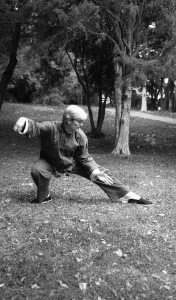 Although there is no single method that works for everyone, Tai Chi is performed daily by millions of people who find it to be a profound life enhancing practice. Simply reading, thinking and dreaming about Tai Chi are of no benefit. However, anyone who receives proper instruction and practices regularly can begin to feel the benefits within the first few classes. Anyone is welcome to start at any time. The classes listed in this website are open to all levels and private lessons are available. Please call with any questions or just show up for an introductory class.